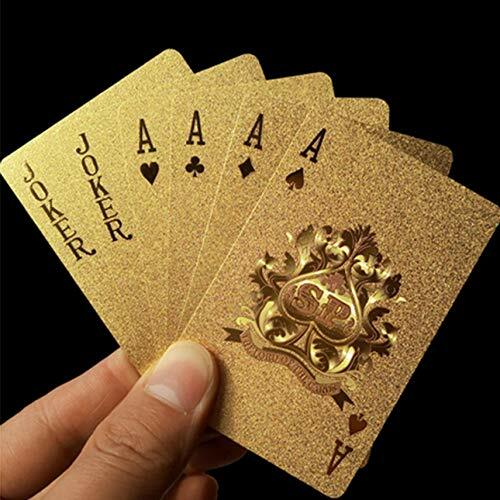 Luxury gold foil poker playing cards. 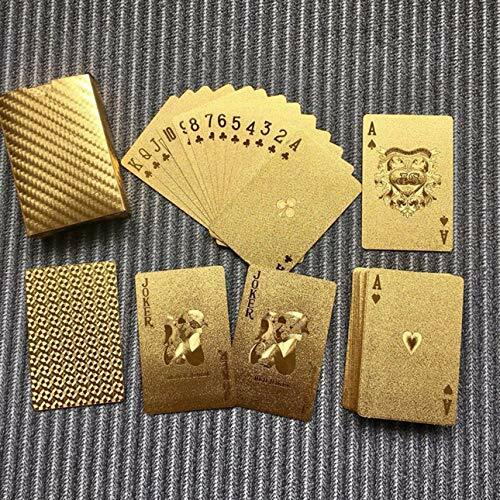 Use high-grade gold-foil plated and deep emboss the surface. 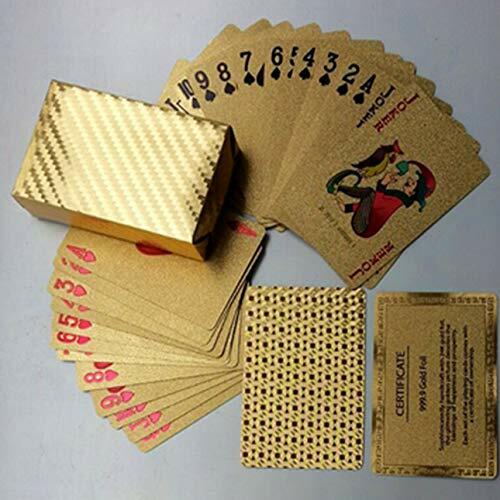 A clear three-dimensional patterns, all sorts of grain, refraction texture shining like gold. 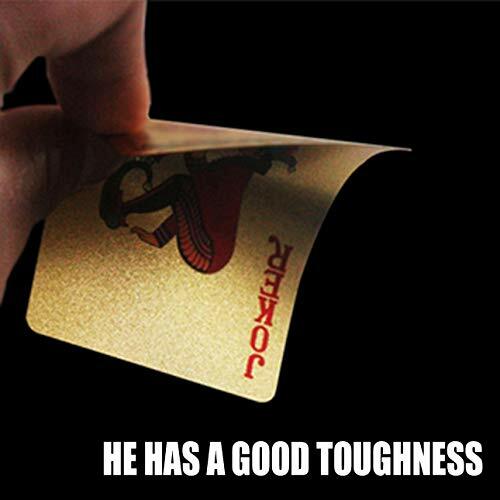 Highly flexible, durable, non fade and waterproof. 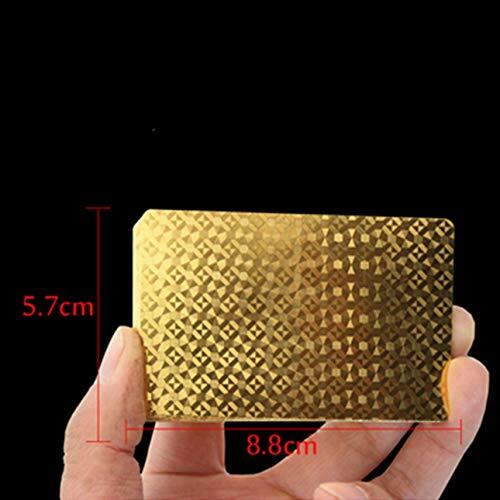 Not only full of art value, but also can be a gift to your friends. 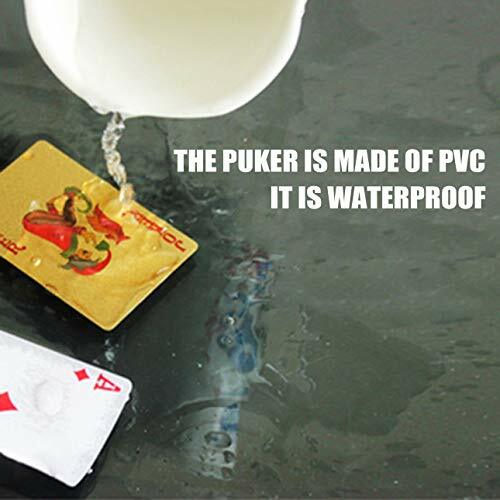 Made of PVC material, waterproof design, very durable.